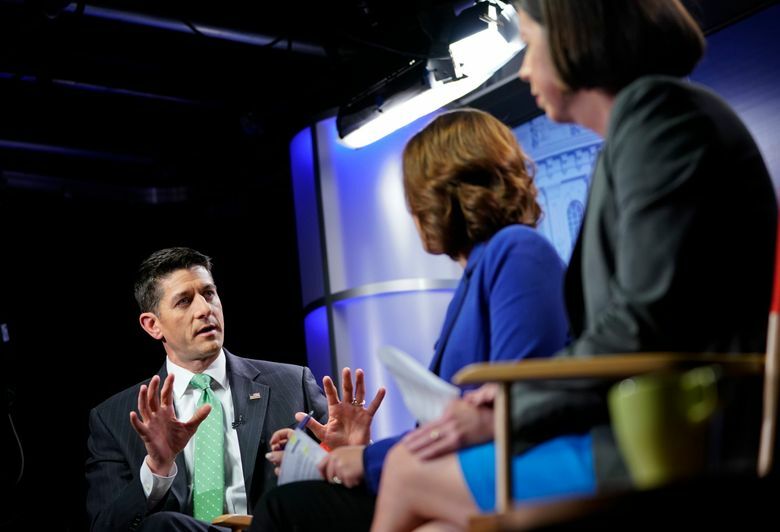 WASHINGTON (AP) — House Speaker Paul Ryan backed off months of promises that the Republicans’ tax plan won’t add to the nation’s ballooning deficit, declaring Wednesday in an AP Newsmaker interview that the most important goal of an overhaul is economic growth. 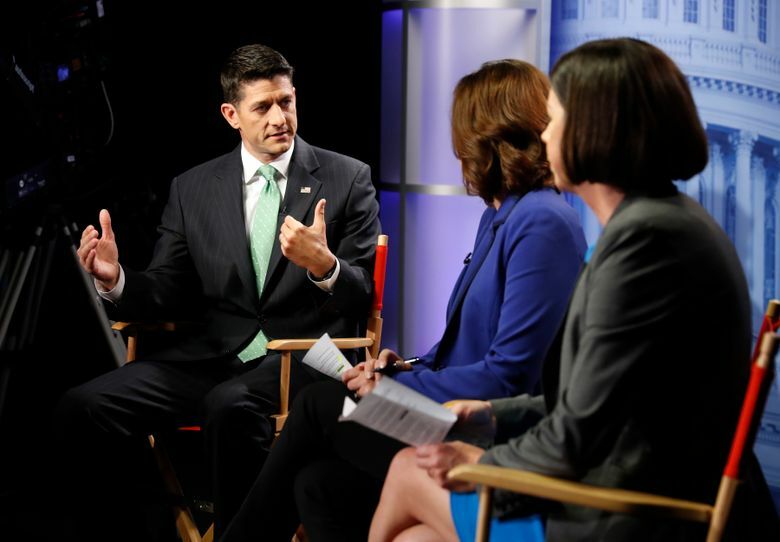 Asked twice whether he would insist the emerging tax plan won’t pile more billions onto the $20 trillion national debt, Ryan passed up the chance to affirm that commitment. GOP leaders made that “revenue neutral” promise in a campaign manifesto last year and many times since. Ryan’s comments signaling possible retreat on a core GOP commitment came amid quickening action on taxes, which Republicans view as their last, best chance to notch a significant accomplishment to take to voters in the 2018 midterm elections following the collapse of their “Obamacare” repeal drive. 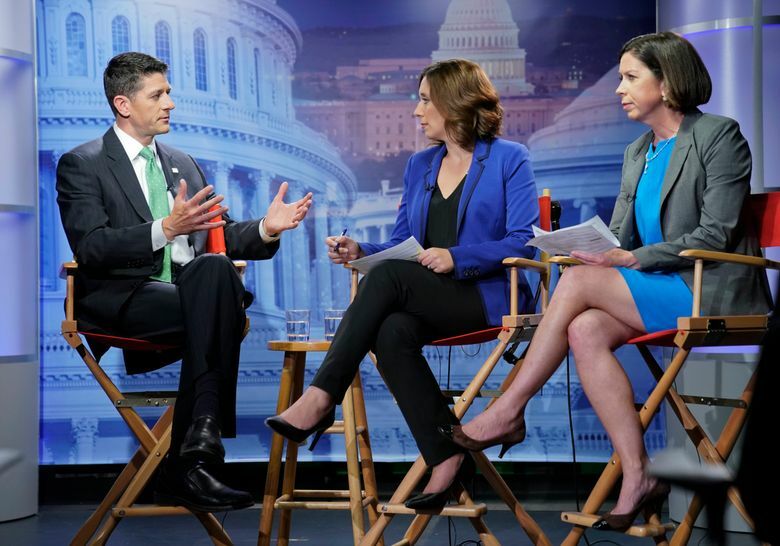 Yet even as President Donald Trump hunted for Democratic votes for a plan that’s not yet taken shape, and GOP leaders laid out an aggressive timetable to lawmakers, significant hurdles remained. A major one is the GOP’s failure, thus far, to pass a federal budget, which under legislative rules is a prerequisite for a tax plan that can avoid being stalled to death by Democrats in the Senate. Objections also threaten from the GOP’s seemingly shrinking ranks of deficit hawks if Ryan, Trump and Senate Majority Leader Mitch McConnell do try to move forward with a tax plan that could cost hundreds of billions of dollars, without paying for it with cuts in federal spending or some new sources of revenue. Sen. Bob Corker, R-Tenn., chairman of the Foreign Relations Committee, issued a statement earlier this week calling the debt the “greatest threat to our nation,” greater than North Korea, Russia or the Islamic State group. He said any immigration solution must include border security measures, though he said a wall along the entire southern border, which Trump has repeatedly urged, doesn’t make sense. 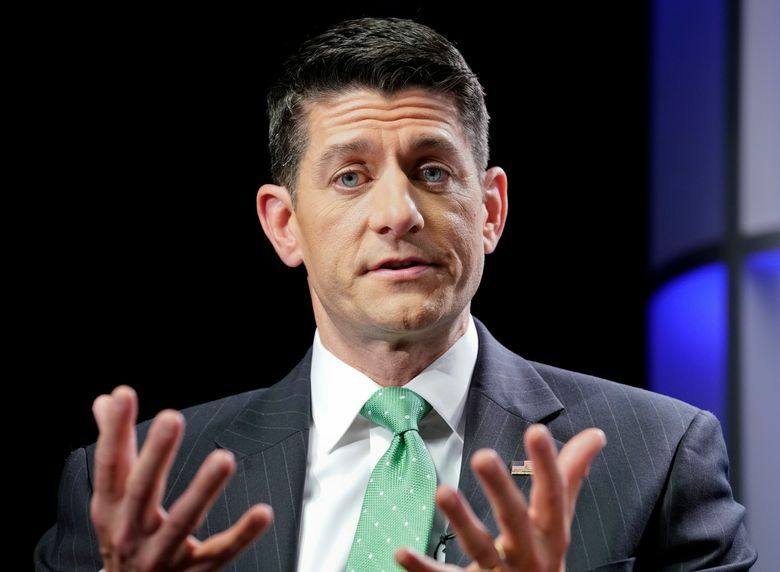 Earlier Wednesday, Ryan and House Ways and Means Chairman Kevin Brady met behind closed doors with GOP lawmakers to lay out a timetable on taxes, pledging a detailed blueprint from top congressional Republicans and administration officials in the final week of September. The goal, which Ryan reiterated Wednesday, is to send Trump a bill to sign before year’s end. The challenges were immediately apparent as House Republicans left the meeting with Ryan and Brady complaining they still didn’t know what was going on. And some conservatives were voicing concerns about Trump’s newfound fondness for making deals with Democrats, as he did last week on the debt ceiling with House Minority Leader Chuck Schumer of New York and House Minority Leader Nancy Pelosi of California. After Schumer and Pelosi had dinner at the White House Wednesday night, they said they had reached agreement with Trump to protect the DACA immigrants and fund some border security enhancements — not including Trump’s long-sought border wall. No Republicans were present at the dinner save the president, who was once a Democrat.